Unlike rainforests, human ingenuity is in no danger of depletion, as the growing inventory of materials that can be substituted for tropical hardwood illustrates. Before getting into further details, we think it would be most hopeful to simply cut to the chase. 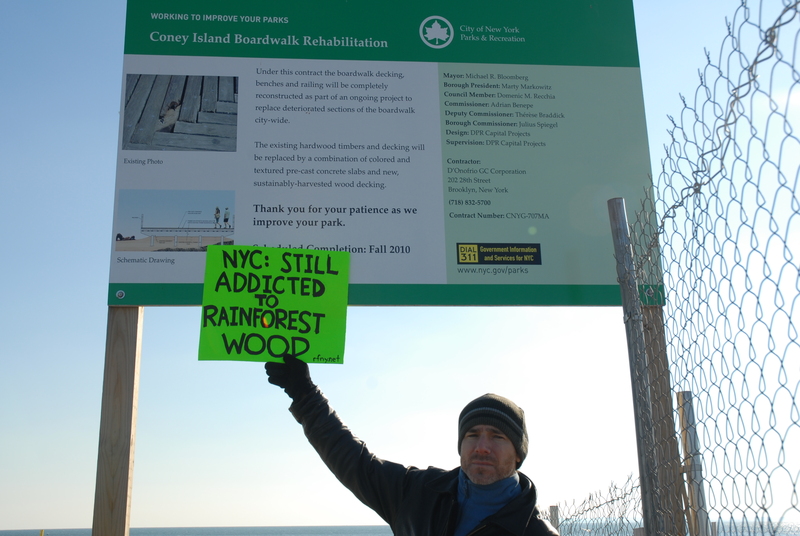 What follows is a list of the most common projects that the New York City government builds with rainforest wood. Beside each project is a list of alternative building materials, which are as durable or more durable than tropical hardwoods. Disclaimer: For those living in countries other than the U.S., there may be other factors to consider when choosing alternative building materials, including energies expended for transport and/or any local concerns regarding temperate forests. 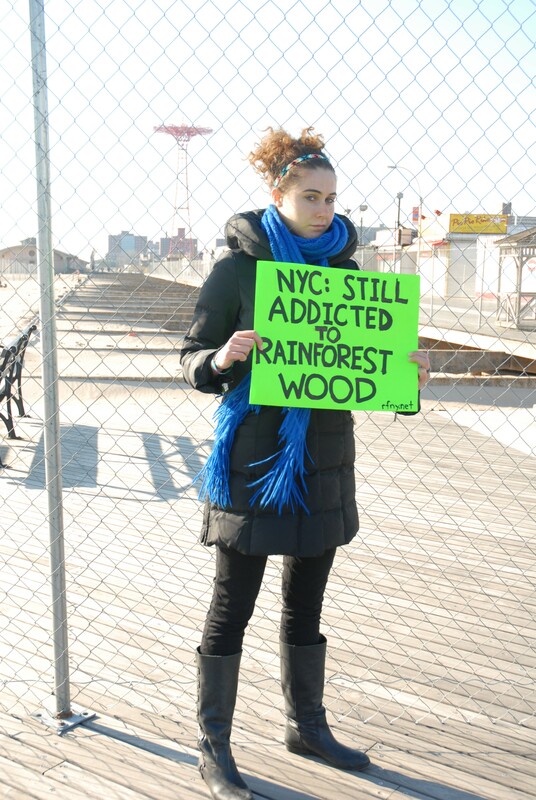 The New York City government is the largest consumer of tropical hardwoods in North America. They use rainforest wood to build & renovate bridges, subway ties, ferry terminals, boardwalks, parks and marine transfer stations. We’re not suggesting that we should do without subways or parks. We’re simply saying that their are numerous beautiful, durable and cost-effective building materials that can be used instead of rainforest wood. Rutgers professors Tom Nosker and the late Rich Renfree have been working on recycling plastic into lumber since the mid-1980s. With a patented process licensed from Nosker and Renfree, Jim Kerstein, founder of Axion International, developed a product in the 1990s that utilized a material combining two types of consumer plastics: polyethylene, found in detergent containers and milk and juice, and polystyrene, from plastic foam items such as styrofoam cups. Today Axion International produces a building material based on another patent of Noskar’s; this one utilizes 10% recycled fiberglass to create a material as stiff as hardwood. 100% RPL is our favorite alternative for NYC’s infrastructural needs. Unfortunately, several wood-plastic composite lumber companies give recycled plastic a bad name. Don’t fall for the falsely advertised Trex, at one time owned by Mobil Oil, which is used in home decking. Trex is a wood sawdust (fluff or cellulose) plastics composite lumber; over time, the material warps. 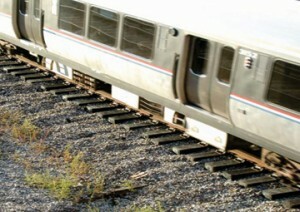 While New York City’s Metropolitan Transit Authority still purchases Ekki, an African rainforest wood, for their subway ties, Chicago Transit Authority is the nation’s largest purchaser of RPL railroad ties. It’s a decade after the CTA’s visionary design and the MTA, the nation’s most renowned transportation system, has still not followed their lead. But the science is in. Just ask the U.S. Army. 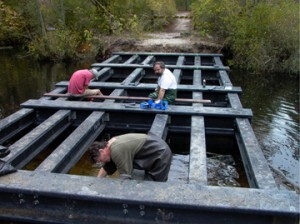 The U.S. Army Corps of Engineers has specified over 100 bridges made entirely of RPL for Fort Bragg. 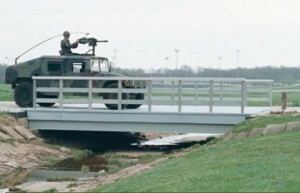 These bridges are strong enough to withstand the heavy traffic of 60-plus ton army tanks. Tropical hardwoods are far from the only building material capable of supporting great weight. What is holding back Mayor Bloomberg, the Departments of Sanitation and Transportation, Hudson River Park Trust and all the other agencies from using RPL? 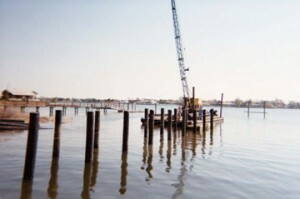 The Department of Sanitation is calling for tropical hardwood to be used for their three newly proposed marine transfer stations. But RPL could be substituted in these transfer stations, board for board, without changing a single other detail in the plans or bids. 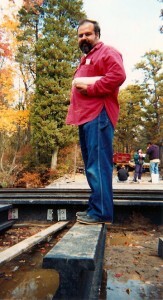 Rutgers professor, Tom Nosker, standing on an RPL I-beam. RPL won’t splinter, rot, or warp. It’s more durable than wood and deosn’t leach the chemicals, such as creosate, that are often used to preserve wood. RPL increases demand for recycled materials and reduces landfill waste. It can even be recycled back into more lumber, eliminating the high costs of disposal. RPL creates local manufacturing jobs. “We think chemically treated wood or rainforest wood as a construction material really doesn’t belong anywhere,” Nosker said. RPL is easier to install than tropical hardwoods, reducing the cost of labor. RPL has a life expectancy of 100 years. Ipê, the hardwood used for Coney Island’s boardwalk, has a life expectancy of about 20 years. “We can convert the entire U.S. Waterfront infrastructure – piers, docks, pilings, bulkheads – and only use 3% of the plastic we throw out,” Tim Keating of Rainforest Relief states. When exposed to weather the mechanical properties of wood weaken dramatically over time, leading to a percentage of the boards being replaced as part of regular maintenance. (An estimated 10% of the original Ipê boardwalk is all that remains after 20 years.) However, after years of weathering, RPL has actually shown an increase in mechanical properties–boards become stiffer and stronger over time. What has New York City done so far? First, New York Transit Authority (TA) has used a minimum amount of recycled plastic lumber ties to test in the City’s subways. But we’ve been waiting for ten years to hear what they think. Park or Union Square Park or the several miles of Hudson River Park. Look at the High Line. All the thousands of new benches that you see are made of Amazon wood. 2010 Coney Island Boardwalk Renovation - Despite the nearby pier, made entirely of recycled plastic lumber, the Parks Department is renovating an enormous stretch of the Coney Island Board with more Amazon Wood. 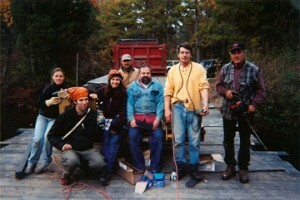 greenheart tree, logged from the Guyanese rainforest–with recycled plastic lumber. We’re eagerly awaiting their next steps. Trends can be beneficial or reckless, and New York City has started its fair share of both kinds. 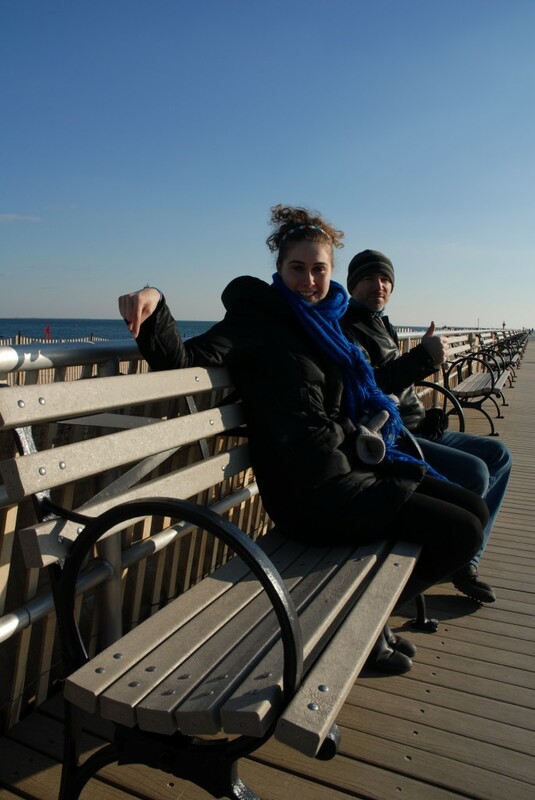 In the ’60s, Coney Island became the first boardwalk in the U.S. to be renovated with ipê. Then Atlantic City followed suit. Importers used the high profile of both sites to create a national craze for tropical-wood boardwalks, then home decks and outdoor furniture. There’s every reason to believe that if we can get the government of New York to commit to building with sustainable materials, then we can help to initiate a new trend, one that towns and cities around the world will emulate. before seen by Western eyes — including the just-discovered saddleback tamarin, a small monkey with considerable claws — our incursions are exacerbating the most widespread and rapid extinction ever in the planet’s history. And that includes the mass die-off of the dinosaurs 65 million years ago. Consumption as usual won’t work any more. We’re in desperate need of designers and civic leaders who not only ignite our imaginations, but also respect our fragile niche in the cosmos, third planet from the sun. Guidelines to avoiding wood from Endangered Forests and Hierarchies of Wood Use, which explains wood options, from best to worst. Click the photo to read Greenwash from the Parks Department. "Sustainably-harvested wood"? We don't think so. 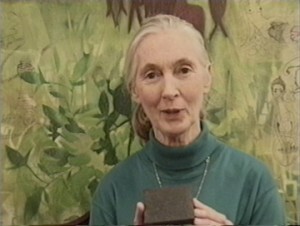 Notice that Parks refuses to mention where they get the wood from: the Amazon forest. Studies by the PNAS show that even if tropical trees are selectively logged instead of clearcut, the surrounding forest is highly likely to succumb to drought, fire and additional clearing by ranchers, land speculators and other loggers, all of whom follow the new logging roads into previously inaccessible areas. April, 2010: High Line Section 2 Awaits Construction - With or Without Amazon Wood?